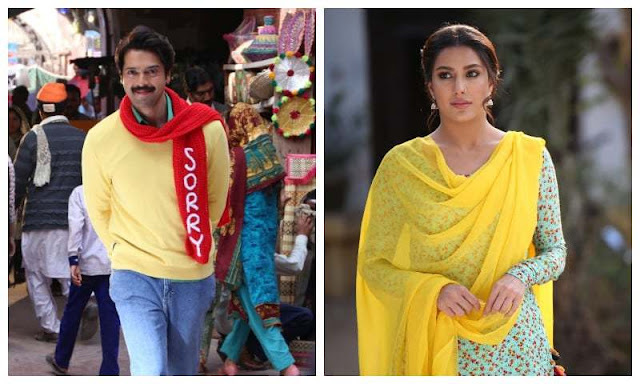 Fahad Mustafa's, Mehwish Hayat's first looks from Load Wedding will leave you intrigued! After much wait and anticipation, we finally have the first looks of our favorites Mehwish Hayat and Fahad Mustafa from their upcoming film Load Wedding. And yes, the duo has left us wondering! While we see Fahad Mustafa in an entirely different character, sporting a mustache for the very first time, Mehwish Hayat too has gone out of the way with her look, experimenting with a nose piercing, a first for the diva, as well. A baggy yellow sweater, blue jeans, with a red muffler that has Sorry written on it, we're rather interested to find out the reason behind Fahad's look and are wondering what the actual story behind the muffler is. On the other hand, we have Hayat in a perfect desi girl avatar with a kurta shalwar, a long braid and traditional jhumkas. She's lost in a deep thought and it seems there's more to her personality than she let shows. And yes, we're digging the gorgeous nose piercing Hayat has opted for her character in Load Wedding. Load Wedding releases this Eid ul Azha. 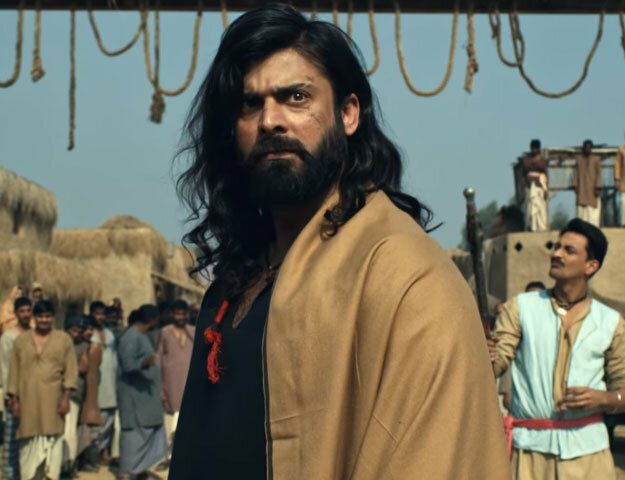 Directed by Nabeel Qureshi and produced by Fizza Ali Meerza, the film marks Fahad Mustafa's fourth with the hit duo.